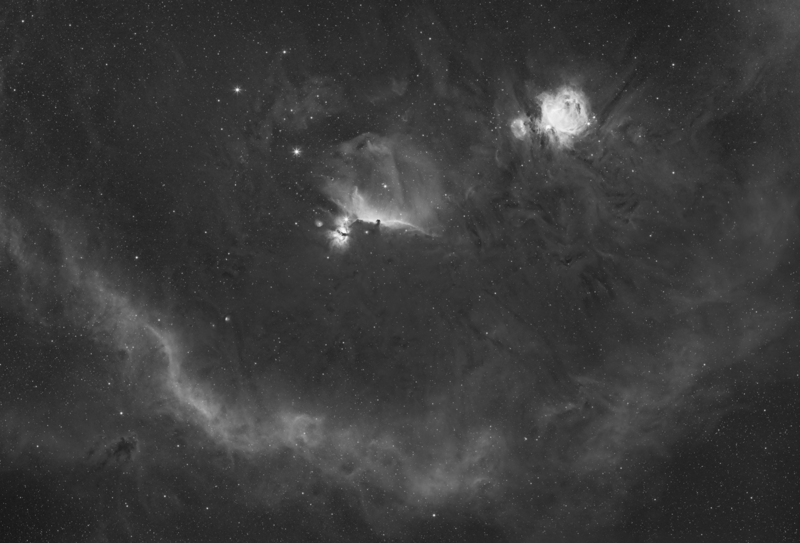 Used my Canon 135L with a monochrome 4/3 astronomical camera (QHY163m) @ f/3.5 with a Hydrogen alpha 6nm filter. 4 panel mosaic each panel is 10 x 180s ~ 30 min each for a total of 2 hours of exposure time. RGB data to follow in a color image.